Fulfilling a Need. Digital Printing for Apparel. Raspberry Creek Fabrics—based in Sandy, UT—offers print apparel fabrics to home sewers in addition to wholesale opportunities for mom and pop shops. According to its website, it is the source for small batch custom textile printing and fresh fun designer apparel fabrics. Its customers come from all over the U.S. and internationally. The average order runs from one to 500 yards. Nine employees work out of a 6,000 square foot space. Above: The Kornit Allegro and EFI Reggiani NEXT 180 run out of Raspberry Creek Fabrics’ Sandy, UT facility to decorate natural fiber fabric used by home sewers to create apparel. The company began when its founder/president, Diana Rammell, was looking for natural fibers for apparel at her local fabric store and had a difficult time finding anything to satisfy that need. She enlisted the help of her husband to start the search for alternatives. The duo visited multiple print trade shows before deciding on screenprinting around 2011. Outsourcing to a printer in Los Angeles, CA, the technology worked for some patterns, but proved limiting for certain designs and the lead time was just too long. Soon the Rammells began researching the best digital printing technologies available for natural fibers. They initially looked into acid reactive options, but had trouble securing a waste water permit to run a printer in UT. Fast forward to April 2016 and an investment in a Kornit Digital Allegro. This printer was primarily chosen due to the benefits of pigment ink. “It’s durable, offers repeatability, and there is no waste water,” explains Justin Rammell, operations manager, Raspberry Creek Fabrics. Kornit’s proprietary water-based NeoPigment ink is free of heavy metals, formaldehyde, and alkylphenol ethoxy—making it non-hazardous, non-toxic, and biodegradable. A 70.8-inch roll printer, the Kornit Allegro requires no extra fabric pretreatment, with fixation occurring inline right through the printhead. It is a 100 percent waterless process, making it very eco-friendly with no pretreatments, steaming, or washing required. The process is OEKO-TEX 100 certified. Rammell says that digital allows artistic effects, like printing textures and watercolor that are impossible with screenprinting. The change to digital printing is staggering. Rammell provides one example of how the technology allows the company to truly cater to its customers. It offered a mermaid-themed print, and the original design only included Caucasian mermaids. After a few concerns from potential buyers, Raspberry Creek Fabrics’ designers went into their software program, changed the layout to represent multiple ethnicities, and then reprinted on the Kornit Allegro. Mid-2018, the company added to its digital printing portfolio with the purchase of an EFI Reggiani NEXT 180 dye-sublimation transfer printer. It paired the investment with a Klieverik heat press. This was spurred by the need to print to polyester, especially swimwear like men’s and boy’s board shorts. The EFI Reggiani NEXT 180 runs with water-based disperse sublimation EFI IRIS ink. It is designed especially for printing with polyester and elastomer fabrics. The 73-inch printer offers easy maintenance and a small footprint. With the addition of the EFI Reggiani NEXT 180, Rammell admits it is nice to have multiple printing options available. He stresses that there is no best printing method for textiles, and each one has its own pros and cons. Raspberry Creek Fabrics works directly with a custom fabric mill based in CA. It is here that two of its top textiles are produced—a cotton spandex and a French terry. Both are chemically untreated. Other textiles are also manufactured at the mill, but on a seasonal basis. For example, in the Spring a rayon poplar was in demand as well as bamboo jersey for baby clothes. A woven tencel for a run of scarves was popular in the Winter. For this company, keeping production in the U.S. is beneficial. Rammell believes more apparel producers should consider it. “Apparel, home décor, and fabric producers are not taking into account warehousing and other costs. You might pay more to produce in the U.S., but you get the product quicker with low minimums. And with digital, you meet the need for burst capacity and don’t have that warehouse cost you would get if ordering product from overseas,” he explains. Today, the textile printer is outputting about 15,000 linear yards per month. According to Rammell, about 60 percent of the work is run on the Kornit Allegro and 40 percent on the EFI Reggiani NEXT 180. Raspberry Creek Fabrics has a strong customer base. Its network of sewing bloggers is vast. In UT especially, the company has done a lot of community outreach to local sewing businesses and Rammell credits this for a lot of the company’s successes. Online, its Facebook page is full of supportive home sewers constantly posting new ideas and patterns for garments using Raspberry Creek Fabrics’ designs. Despite all of the company’s successes, they have not come without challenges. Rammell admits that the learning curve when it comes to digitally printing fabrics is high and there is a lot of trial and error. “You need to be an expert in the machine. We invested in testing for crock fastness and color fastness, but you really are constantly watching the quality because cotton is like an apple—both are natural products, no two are ever the same,” he explains. 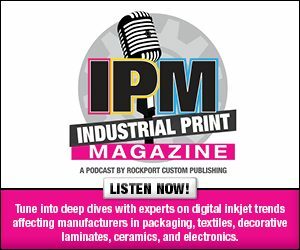 For those considering investing in digital printing technology for fabrics, or having textiles printed, Rammell suggests finding a consultant. They can help figure out exactly what you are looking to achieve, work with you to learn the correct process, and determine the best kind of technology and ink set that fits your project. “There is a huge payoff for people who do their homework and accept the challenge. They’ll be miles ahead of the competition,” adds Rammell.